They say that a glass of red wine every day is healthy for you, but you know what is even healthier? Yoga and then a glass of wine afterwards! Join us for a memorable yoga experience in our vineyards followed by a relaxing savasana and a glass of wine. 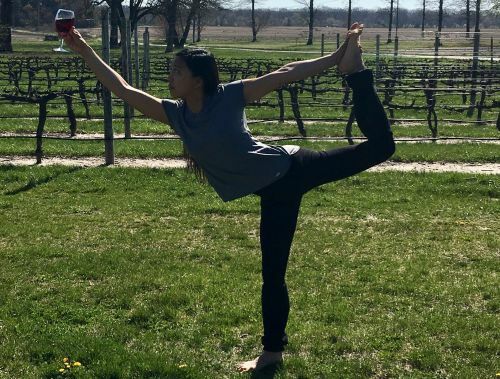 Vinyasa and Vino is a monthly yoga program at the winery on the first Sunday of the month starting at 11am. Enjoy a one hour Vinyasa (breath for breath flow) right next to the vineyard guided by Joy Torres RYT200 from Peace Love Yoga, Vineland. This class is suitable for all levels and is beginner friendly. All you need to do is bring a yoga mat, a bottle of water and a friend to enjoy your wine with! Please arrive by 10:45am to get set up and be ready for class at 11am. After the class ends, choose a wine to enjoy and unwind. Tickets are $20 and include your glass of wine. Make sure to bring a friend to class because you will get entered in a drawing to win a bottle of wine and a gift! You must be 21 or older to purchase a ticket. All dates are rain or shine.  In the event of rain or cold weather, the class will be held indoors within eyesight of the vineyards. Tickets may be purchased the day of the class so long as there are still spots available. One glass of wine is included in the ticket price. You may purchase additional wine or food that day if you like. Ticket price includes souvenir glass.